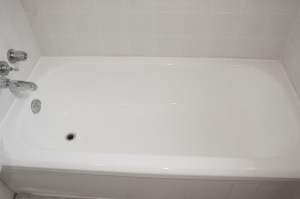 Dr. Tubs Reglazing is a professional bathroom refinishing company servicing the Greater Toronto Area. We pride ourselves on our customer service and workmanship. Since our inception in March 2009, we have always focused on these two criteria, providing our customers with the best service in the bathroom resurfacing business and using the best bathroom refinishing system available. We use the best chemicals and refinishing paints on the market, all of which are free of lead, melamine and isocynates. At the same time, we maintain very competitive and reasonable pricing. We know there is a cheaper product on the market, but we will not compromise on our quality. We became an accredited business of the BBB and are held accountable to our principles and standards, as well as theirs. Furthermore, all of our professionally trained reglazers are fully insured with WSIB, 3rd party liability insurance and WHMIS 2015 certifications. 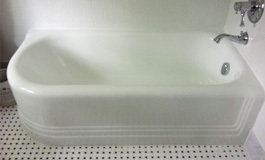 Dr.Tubs reglazers refinish all types of tubs, tiles and sinks. Dr. Tubs Reglazing is a professional bathroom refinishing company servicing the Greater Toronto Area. Call 416-630-9143 for a complementary consultation.